Craving some mouthwatering, delicious, authentic Mexican food? 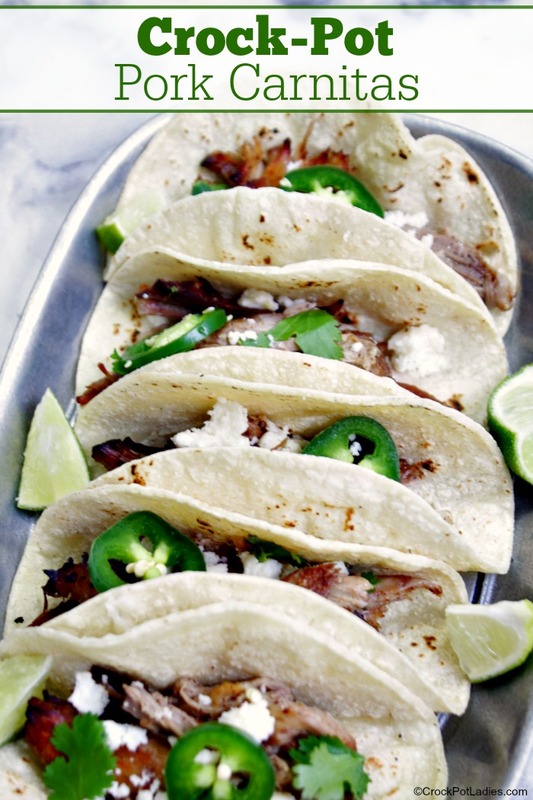 Then you are going to LOVE this recipe for pork carnitas made in your slow cooker. For this recipe I used a big 4 pound bone-in pork shoulder roast. These often go on sale at my local grocery store for under $2.00 a pound and they are perfect for cooking in the slow cooker. The pork shoulder roast is big enough to really let it cook away pretty much all day while you go on about your day. While the recipe below officially calls for cooking your pork roast on LOW for 8 to 10 hours. You really can let the meat cook in the slow cooker longer. I have cooked it for 12 to 15 hours on low and the meat just gets even more tender the longer it cooks. The pork will let off plenty of it’s own juices so you don’t need to worry about it burning. But if you are short on time you can cook the pork on HIGH for 4 to 5 hours (pushing it to 6 to 7 hours if needed) and you will be fine. I personally prefer letting it cook on LOW temperature for a long long time. First your pork shoulder roast is given a quick trim with a sharp knife to remove any large chunks of fat. Leave the bone in the roast though because that bone is going to release some collagen and make your shredded pork tender! Then you are going to mix up a easy spice mixture to rub all over the surface of the meat. Once you rub that mixture into all the sides of the pork roast you plop it into your slow cooker and add just a few fresh ingredients. And then you just let everything cook away for hours until the meat is super tender and shred the meat. 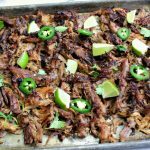 Now at this point you can just eat the shredded Mexican carnitas as is or for a more authentic texture and flavor you can crisp the meat up under the broiler in your oven for a few minutes until the edges of the pork are crispy and lightly browned. I like the meat crispy myself but to be honest I am perfectly happy with it not crisped as well. At this point you can use your shredded pork carnitas in just about any type of Mexican dish you want. I decided to go with traditional street tacos…corn tortillas heated up until lightly browned and bubbly on a comal (or a cast iron skillet) and set out bowls of lime wedges, fresh cilantro, and queso fresco (a crumbly Mexican cheese). and we ate a bunch of tacos! Because this recipe makes a lot of meat it is perfect for a large party or get-together. But you can also freeze up any leftovers. Having the pork carnitas stashed away in my freezer allows me to easily create a plethora of tasty Mexican dishes! Using a 4 pound bone-in pork shoulder roast yields a hefty 16 servings. Perfect for a large party or get-together. However leftover carnitas can easily be frozen for up to 6 months in a well sealed freezer bag or container. Perfect for any Mexican or Southwestern inspired meal! In a small bowl mix together all of the ingredients for the spice mixture: chili powder, cumin, oregano, salt, black pepper, cayenne pepper and cinnamon. Rub spice mixture evenly over all surfaces of the pork shoulder and add to a 6 quart or larger slow cooker. To the slow cooker add the chopped garlic, quartered onions, orange juice, lime juice and chopped jalapeño pepper (if using). Cover and cook on LOW for 8 to 10 hours or on HIGH for 4 to 5 hours or until the meat is easily shredded and falling apart. Remove pork from slow cooker and shred meat with two forks, adding the meat back into the slow cooker and mixing it back into the cooking juices. Taste pork and season with additional salt and pepper to taste. 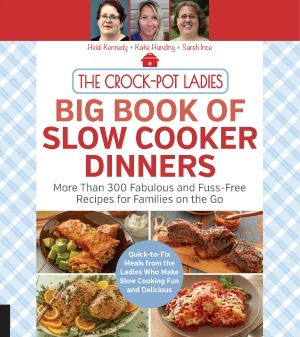 Turn slow cooker to WARM setting for 30 minutes to 1 hour. Turn oven to BROIL setting and let heat up. 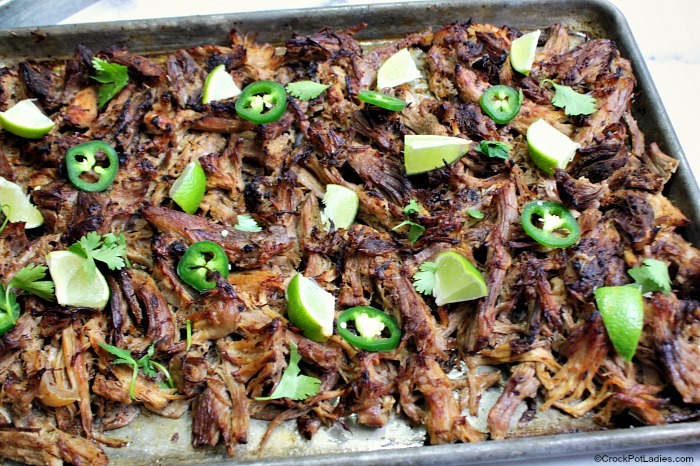 Using tongs spread shredded pork onto a rimmed baking sheet and place under broiler for 3 to 4 minutes or until the pork is crispy. Serve immediately with corn tortillas with fresh cilantro and lime or in any recipe calling for Mexican pork such as burritos, tacos, nachos, quesadillas, etc.